Bandai Namco has released the latest trailer and eight short gameplay videos of Tales of the Rays, its upcoming smartphone Tales RPG. 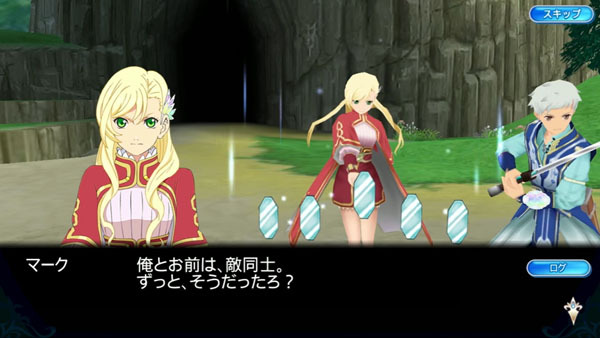 The gameplay videos introduce the Magic Mirror Artes of Ickx, Jude, Luke, Mileena, Repede, Sophie, Sorey, and Yuri. This is are a new style of arte unique to Tales of the Rays based around the Magic Mirrors used by Mirror Knights in battle. Tales of the Rays is a “follow the power of truth RPG” that features an original story with original characters Ickx and Mileena, as well as guest characters such as Yuri and Repede from Tales of Vesperia, Luke fon Fabre from Tales of the Abyss, and Sophie from Tales of Graces. It features the series’ familiar Linear Motion Battle system, screen chats and 3D scenes to develop the story, dungeons with various terrains and monsters, and a world map.